While we have no qualms with making overly complicated recipes, we do love a simple no-brainer. Ice cream is in my families blood. It has always been a favorite treat -- or on occasion, a favorite supper. Ice cream books have two full shelves in the cookbook collections and they keep growing. We know one weird ice cream trick after another. This summer, we embarked on an even easier recipe. It does require an ice cream freezer, but it only takes minutes to prepare and you are done. No cooking. Just freezer time. In the middle of summer, that can take way longer than the ice cream freezer's anticipated freezing time, but in winter, one has ice cream in just under an hour. 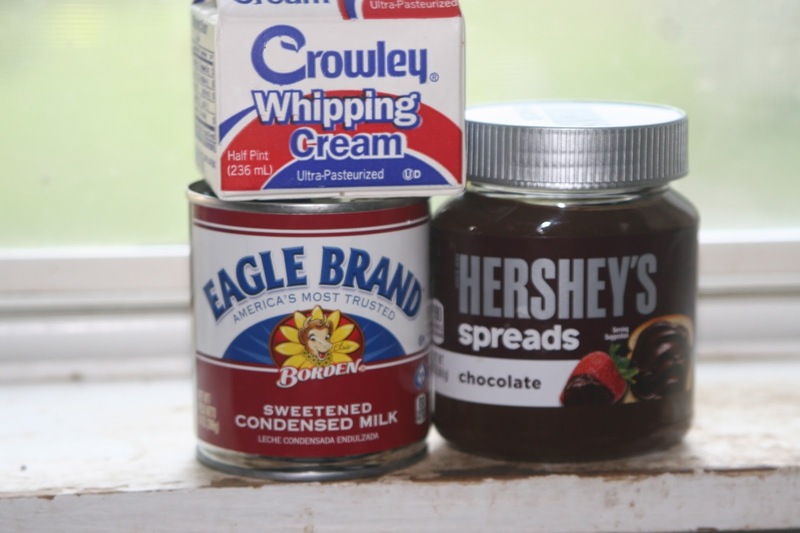 The base is made with one can of sweetened condensed milk and a cup of heavy cream. It is easy, because you can keep sweetened condensed milk in the pantry, and you can pick up a 1/2 pint of heavy cream, so no measuring. 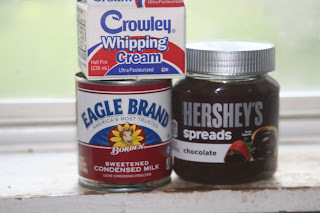 Simply add a cup of flavoring, give it all a spin in a blender and add to the ice cream maker. In our summer favorite, we added a cup of Hershey's Chocolate spread. Nutella also works, as do chopped fruit. For Thanksgiving, we added a can of pumpkin and a tablespoon of pumpkin pie spice. Everyone wanted pumpkin pie, but when the pie was done, the ice cream flew out of the freezer. "Hey, this would be good WITH the pumpkin pie!" Well yes it would. So here you go. Put all the ingredients into a blender and mix till well incorporated. Pour into an ice cream maker and follow manufacturer's directions.